OK so Rotten Tomatoes gives it a grilling but its a fun movie and pretty well done. I’d be lying if I say its worth full price or 3D, but cor a matinee, which is all I and my son go to, its…well…fun. It gets the tone right, neither too campy or too serious and the characters are, uh, well what can you say about a near seven foot, bipedal rat and turtles? The characters have to have lay it on thick personalities that was the way they always have been. The TNMT’s are fun loving reasonably serious young guys. The bad guys are villains with goons what can you add? Megan Fox’s character is central, and she held the movie together. Her O’Neal is not a shrinking violet, victim or Mz KickAss, for the plot she had to be a bit pig headed and very naive, but she was well cast and played it well. We’d certainly go and see a sequel if it’s done as well and doesn’t have much competition. Guardians of the Galaxy, go and see it! So Marvel’s Guardians of the Galaxy is a fun movie. If you want a fun afternoon or night out, go a see it, you’ll laugh and be amazed. 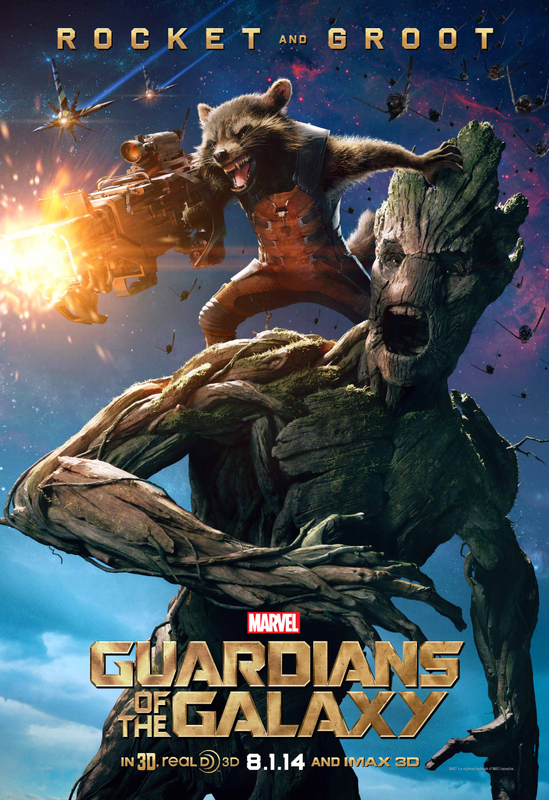 I love Groot and Rocket Raccoon the two CGI characters shown in their own movie poster below. There are many who are over the top about this movie, I think because it could have been awful and isn’t. There is something about the movie that makes me hold back from saying Fantastic, but it is very, very good. There may be other things playing in, but the pace was too frenetic the cutting too staccato for me to fully enjoy. Also a lot of characters seemed to intimate some link to a deeper story that we didn’t get to see. An introductory movie set in a deep universe like Marvel’s may be prone to this and my ‘author’s bump’ maybe too sensitive to these things but these ‘issues’ kept me from getting as deeply engrossed as I did in Edge of Tomorrow and some of the other Marvel films. 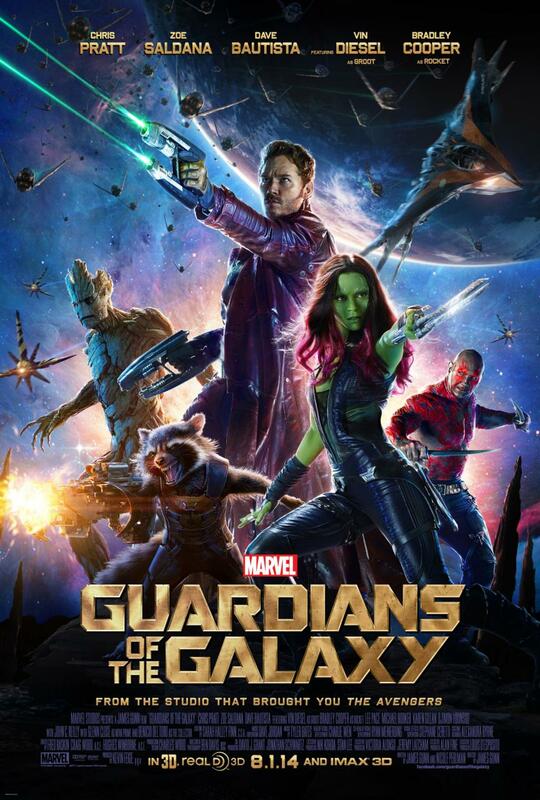 But its a fun movie, go and root for Groot, Rocket and their pets. 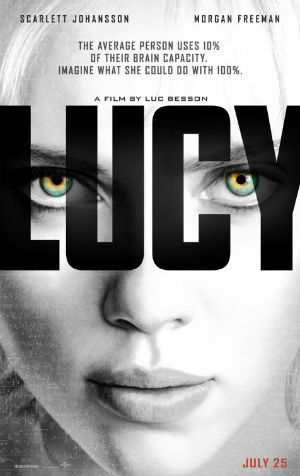 Lucy is a disappointing movie. That is not to say it is awful, but I could not argue with someone who said that it was awful. For me the movie started out very well and was watchable throughout but it left me feeling like I had seen a Hollywood Horror, not the child of the Luc Besson, director of the movie The Fifth Element. The movie feels like it was cut short. Started out on a path like, if a bit less out there than, TFE but then got chopped short. It as if the script was written around a very tight plot but instead of spending time fleshing out the story and the characters it was decided to just get something out the door as cheaply and quickly as possible. I suppose that Johansson or others were not available for the time Besson needed to do a TFE like work. 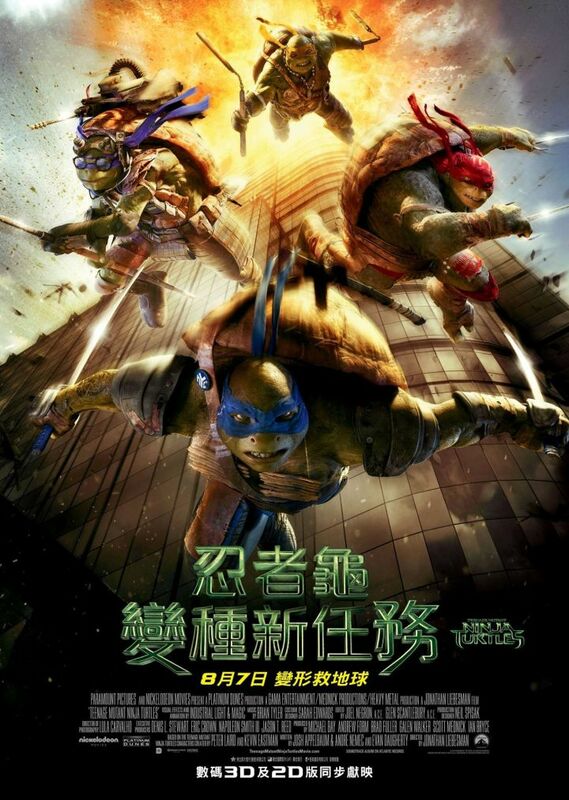 Whatever it was this is a very disappointing movie, mainly because it had great potential. The details: the violence is what some called ‘over the top’ but unfortunately it’s what I call pseudo realistic; Lucy starts out as a believable type…and ends equally believable but without an audience leading transition ; while the Lucy UberHuman [LUH]is believable I think a more relate-able version was possible ; the LUH’s abilities are fantastical, over the top, a creepier, more understated version was possible ; the plot is ultra simple and while the plot holes are there they don’t derail the movie ; [SPOILER ALERT] the bad guys are workmanlike if a bit too Bond-Goon-Squadish, but I really really wanted to evil surgeon from the early scenes to get terminated with prejudice ; the end is utterly anticlimactic the ‘happy’ ending wasn’t cheery and had no punch, the LUH metastasizes to another plane leaving behind the USB key fob to the universe, the confused boy toy police guy gets a text message from the beyond and the world goes on…meh. LUH’s creation: The crap about the utilization of the human brain was good as a way of thinking about human capacity but its scientific bunk, which spoiled the movie a bit for me. The drug was TFE Beeson over the top (as was its introduction) but its derivation and supposed affect were not very convincing. I’d have bought a material that increases intelligence by accelerating and reorganizing the brain, but requires constant new fill-ups or the user becomes a vegetable, it’s the first of a new family of bio-nanotech human enhancement drugs the Chinese mob has stolen, one vial of the stuff could infect hundreds or thousands, who would all become vegetables if they cannot get the fix… a trope matrix that could have been much more scary. Violence: I think that LUH had to use violence she had no time to explain. The emotionless LUH had no compunction about using it which was funny the first time but troubling with no context. Also the violence was too risk free, humans react to violence, modern training makes us hesitate but there are many among us who would react almost instinctively. LUH did to some extent explain herself to the surgeon but the hole here was their reaction to her and the lack of a police response in the time it took to take out the bag etc…A couple of soliloquies or appologetic explanations to victims (even dead ones) would have helped and could even have been funny…. Emotionless: Emotions are chemical and triggered by autonomous systems, LUH could suppress them…believable. But I lost any real human interest in the whole story when I knew she was essentially a machine with a hard stop use by date. The appearance of the hurting, frightened, grieving old Lucy would not have been hard or out of place, her goodbye to her mother was only part of what should have been a thread through to the end. LUH powers: Telekinesis, really? Mental control of electronics plays into my idea for LUH abilities but its just magical crap with the trope used. With ability to control her physiology, and ultra fast processing she could have senses and reactions and strength way beyond the norm, and would have needed to eat like a horse (that was consistent in a way) she might be able to exude skin oils or pheromones with powerful effects, could heal herself fast, maybe even read minds if in contact with the target, etc, etc. These effects and her having to think her way out of dead ends would have supported the simple story line. The magical powers she exhibited should have been part of a movie with more complexity / depth in other areas, where those powers play are a way to keep the story moving fast….here they just truncated this already too simple movie. Bad Guys: OK pretty good in a Bond Villain Goon Squad sort of way but still. And what about the evil surgeon? he really needed his own poetic if gory end. The ending: A more effective ending would have been failure…the bad guys kill her, the bad guy’s die, maybe science guy and boy toy survive to grieve Lucy’s death. Then maybe a hint that she did not fail but that she had made sure that the bad guys got sucked in and destroyed while the drug or whatever that created LUH will be treated like a mixture of nuclear weapon and Ebola. National Novel Writing Month (NaNoWriMo) is a fun, seat-of-your-pants approach to creative writing. On November 1, participants begin working towards the goal of writing a 50,000-word novel by 11:59 p.m. on November 30. Valuing enthusiasm, determination, and a deadline, NaNoWriMo is for anyone who has ever thought fleetingly about writing a novel. Here’s a little more about how it all works. National Novel Writing Month is also a 501(c)(3) nonprofit that believes your story matters. You know how writing makes the world a more creative, vibrant place. Through NaNoWriMo—as well as our Young Writers Program, the Come Write In program, and Camp NaNoWriMo—we work hard to empower and encourage that vibrant creativity around the world. We can’t do it without writers like you. 341,375 participants started the month as auto mechanics, out-of-work actors, and middle school English teachers. They walked away novelists. 648 volunteer Municipal Liaisons guided 586 regions on six continents. 82,554 students and educators created worlds with the Young Writers Program. 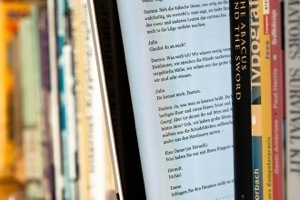 615 libraries opened their doors to novelists through the Come Write In program. And in 2013, 44,919 Campers participated in Camp NaNoWriMo’s online writing retreat. It’s a Black Swan event, a disaster no one was looking for, despite decades of discussion. A killer asteroid slingshots around the sun and is heading straight for the heart of the US. 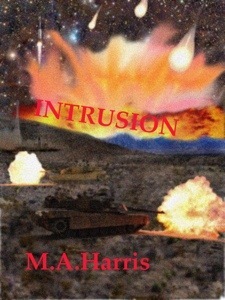 A desperate shot with an experimental space plane and obsolete nation killer bomb may save the day. Except worse turns to weird when it becomes obvious that the incoming hundred thousand tons is not an asteroid but a derelict starship. Weird turns to near certain war when the ‘derelict’ starts spinning out landing craft, does the President destroy it, do the aliens come in peace? The story of the men and woman who get to put the answers together and live…if they survive…with the consequences.